Vishwakarma Puja, is a day of celebration for Vishwakarma, a Hindu god, the divine architect.He is considered as creator of the world. Vishwakarma is also called the God of Machines, the Engineer of the Gods, and the First Engineer.It is generally celebrated every year on 17 or 18 September which usually falls on the last day of the Indian Bhado month, in Indian states such as Assam, Uttar Pradesh, Karnataka, West Bengal, Bihar, Jharkhand, Odisha, and Tripura. On this particular day, people conduct puja at their factories. 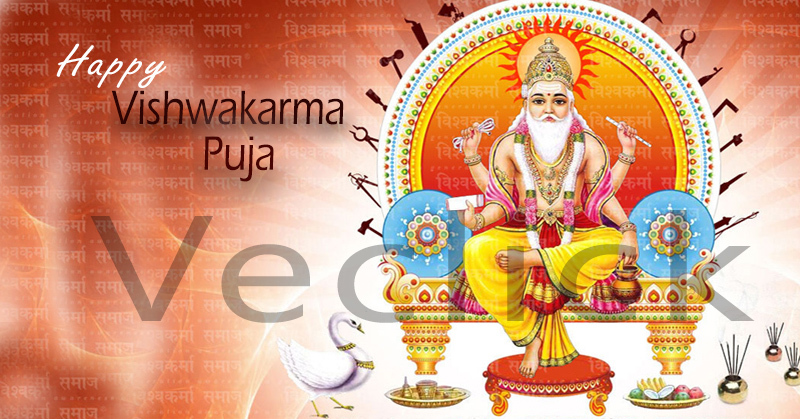 Engineers, architects, artisans and mechanics pray to Lord Vishwakarma for a better future. The workers pray for a better future, safe working conditions and success in their respective fields on Vishwakarma Puja.